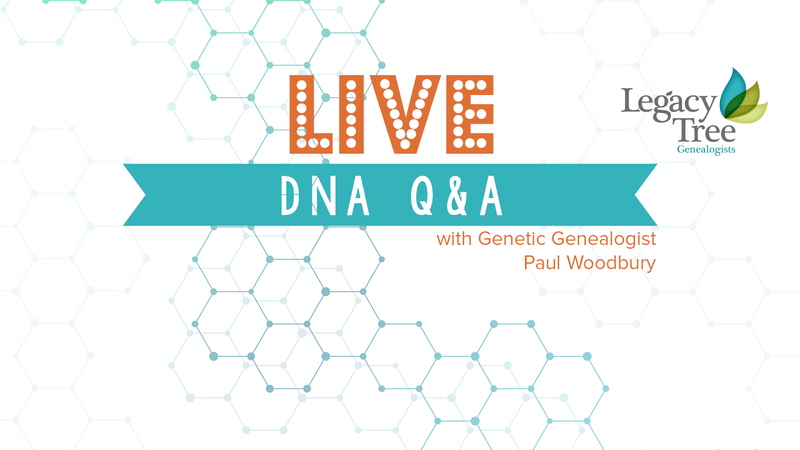 GeneaWebinars: Back By Popular Demand - LIVE DNA Q&A with Paul Woodbury - Submit YOUR DNA-Related Questions! 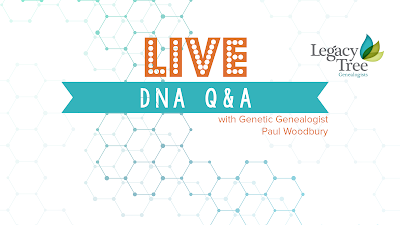 Back By Popular Demand - LIVE DNA Q&A with Paul Woodbury - Submit YOUR DNA-Related Questions! as we broadcast LIVE from RootsTech! Have questions about genetic genealogy, and how DNA testing can help you find your ancestors? Paul Woodbury, Sr.Genetic Genealogist at Legacy Tree Genealogists will be answering YOUR DNA-related questions, LIVE on the Legacy Tree Genealogists Facebook page! 1. 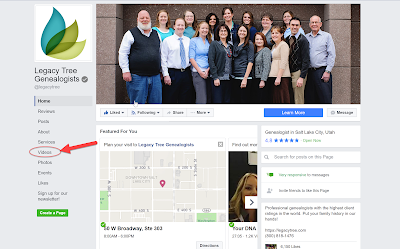 Visit the Legacy Tree Genealogists Facebook page. 2. Click on the "Videos" link in the left hand column of the page. 3. Join the live broadcast, and comment to let us know you're there!